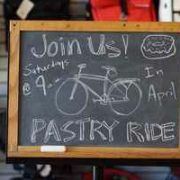 Bike, eat pastries, meet new friends. 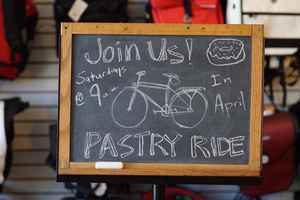 Perennial Cycle invites you for free group rides this month. These are no-drop rides and are both family and beginner friendly. Rides will vary throughout the month, with an average close to 5–6 miles to our destinations. We stick together and ride at a friendly, social pace between 5 and 10mph. PLEASE BRING: a helmet and a reusable coffee mug if you’d like to grab a drink at our destination.